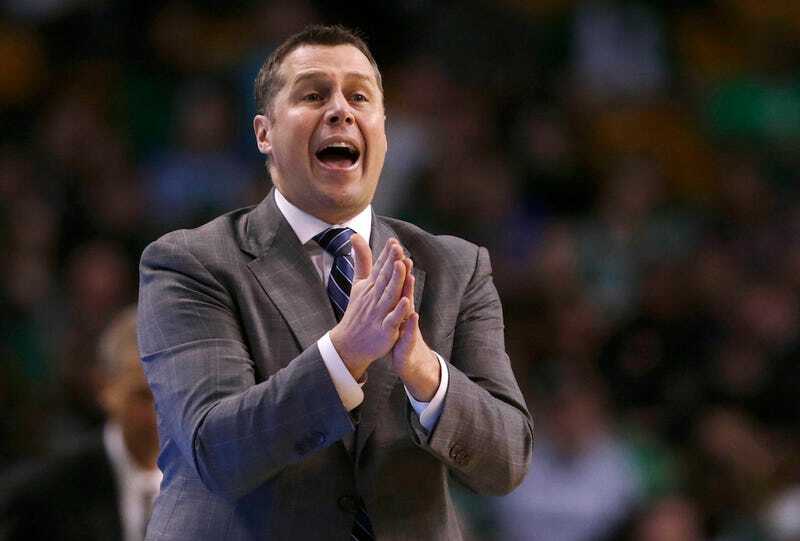 The Memphis Grizzlies Have Fired Coach Dave Joerger, The Lucky S.O.B. Having served Dave Joerger a cold supper of radioactive gunge and watched him lick the bowl clean, the front office of the Memphis Grizzlies announced his firing today. First as an assistant, Joerger had been with the organization for the past nine seasons, a.k.a. the bulk of the Grizzlies’ relevance as a professional team. His replacement (COUGHfrankvogelCOUGH) hasn’t been designated yet, but we already know it won’t be a person who quilted a league-record 28 players, including several who actually belonged on NBA rosters, into a playoff team in the Western Conference. That person was Dave Joerger, who worked himself into a red-eyed sob after the Spurs bounced his Bad News Bears in the first round. “I cannot tell you how proud I am of every guy that is in that locker room and has come through that locker room,” he said at the news conference. “This season’s been hard. It’s been really hard.” Sacramento should make a fitting encore. He was canned, GM Chris Wallace told the team’s website, for no discernible or definable reason: “I am confident that change was necessary to grow the type of culture that is needed for sustained success.” Wallace talked about “stability,” which has always been at question for Joerger; after his first season as head coach, one marked by ownership numbnutsery, he went on a date with the Minnesota Timberwolves that got no further than second base. As trust eroded over the past several months, tensions escalated between Joerger and Grizzlies management. The organization was frustrated with Joerger publicly making disparaging comments about Memphis’ roster and his own role in player personnel, league sources said. Joerger had grown belligerent to many within the organization, an attitude that those close to Joerger described as a response to his own belief that management was setting him up to fail next season, sources said. That sounds like brinksmanship from both sides, and maybe Joerger was foregone anyway; he was making a reported $2 million a year in a league where the Kings, just to pick one team Woj cites, can double his salary. And when Joerger asked permission to talk to other teams, it could be that the Grizzlies figured they were cooked in any case, and didn’t want to miss out on whatever sweepstakes surrounds Frank Vogel, who might be in Memphis’s price range. We do know that over three years Joerger coaxed .598 ball out of a Grizzlies cast that swung between a prison-break comedy and an actual ambulance. A coach like that won’t stay idle long, and wherever he lands, he’ll be trading up.